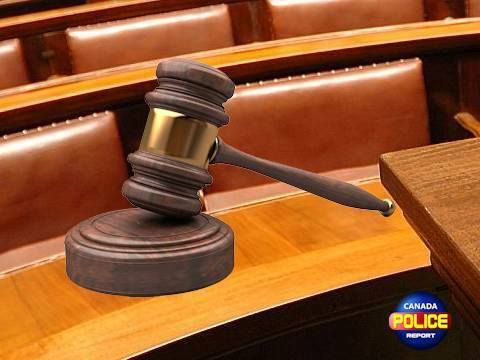 Jasper, Alberta – On April 8, 2019 a Jasper resident charged with drug trafficking offences appeared at the Hinton Court of Queen’s Bench for sentencing purposes. Christopher Robert FIELD entered a guilty plea to possessing cocaine for the purpose of trafficking and possession of property obtained by crime over $5000 and was sentenced to 30 months in custody. FIELD will be serving his sentence in a Federal Correctional Institution. FIELD also received a lifetime firearms prohibition order. The charges against FIELD stemmed from a Controlled Drugs and Substances Act search warrant executed by Jasper RCMP officers on March 27, 2016 which resulted in a significant seizure of cash and the seizure of approximately 1 kg of cocaine. Members of the public who suspect drug activity in their community are encouraged to contact the Jasper R.C.M.P at 780-852-4421. If you want to remain anonymous, you can contact Crime Stoppers by phone at 1-800-222-8477 (TIPS), or by internet at www.crimestoppers.ab.ca You do not have to reveal your identity to Crime Stoppers, and if you provide information to Crime Stoppers that leads to an arrest(s) and/or the seizure of illicit drugs, you may be eligible for a cash reward.